Gnosis is constantly developing innovative nutraceuticals, blending together its experience in pharmaceutical manufacturing and knowledge in biochemical pathways. Cutting-edge technology and multidisciplinary teams are the recipe to develop and introduce proprietary ingredients and formulations for human and animal consumption. 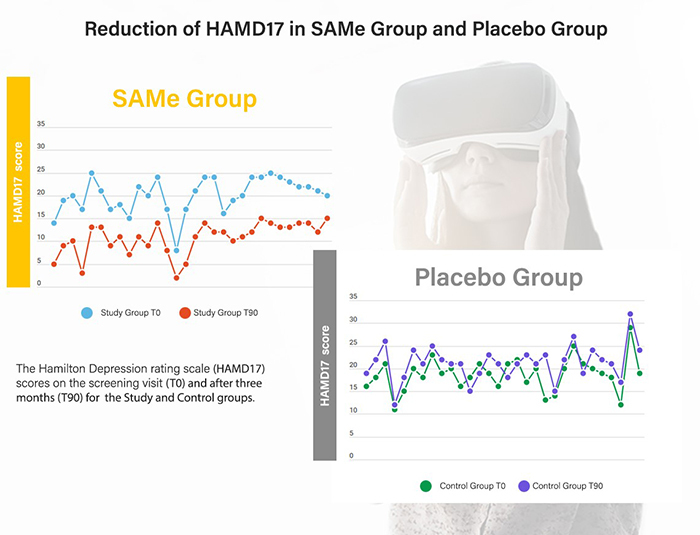 Gnosis is committed to provide rigorous and measurable scientific studies to prove the efficacy and health claims of its products. Improving the quality of life of humans and animals and promoting their well-being is the specific target of worldwide advanced nutrition. 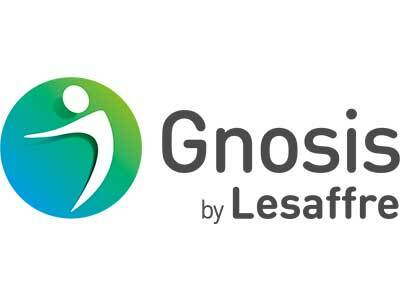 Following these major global trends and challenges Gnosis proposes the Advanced Nutrition platform, that counts a wide range of products among its branded functional ingredients, merging excellence in biotech innovation and constant evolution in nutraceutical applications. 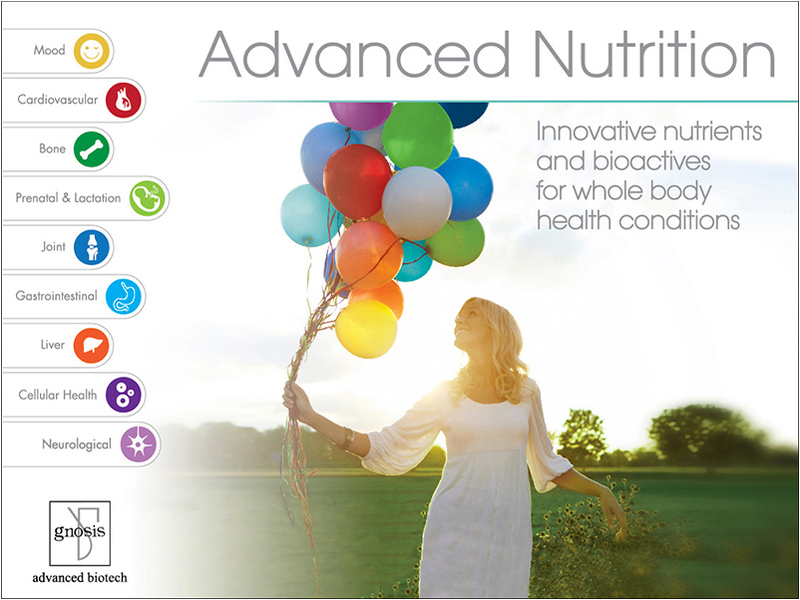 Gnosis Advanced Nutrition redefines the nutrients contained in food to offer customers an extensive range of differentiated solutions improving and boosting human head-to-toe health condition and making up for the contemporary poor dietary quality. 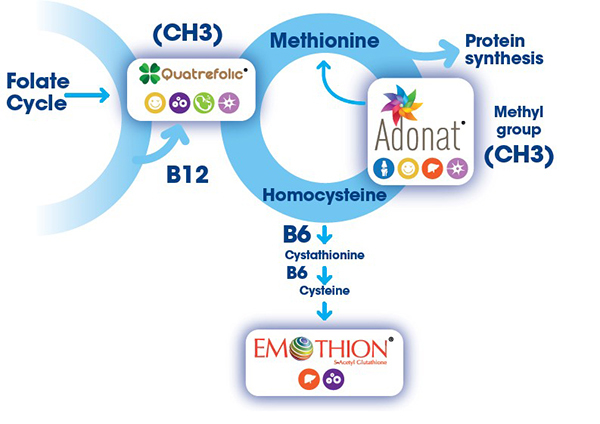 Gnosis is pioneer in the development and supply of a wide range of branded ingredients and formulations that support metabolic application fields, such as the One-Carbon Metabolism / Methylation Cycle and Bio-actives. ONE CARBON METABOLISM – One Carbon Metabolism is a network of interrelated biochemical reactions that involves the transfer of one-carbon groups from one biological compound to another (methylation) and is essential for sustaining the life of cells. 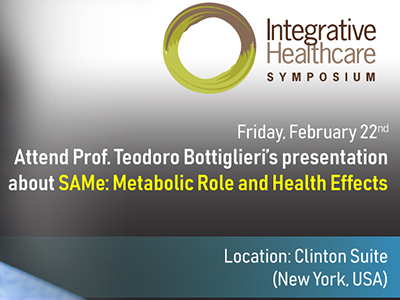 One Carbon Metabolism (the metabolic pathways involving homocysteine, folate, methionine and glutathione) as a risk factor in several health problems (including detoxification, energy production, immune function, maintaining and regulating genes, mood balancing and controlling inflammation) attracts every year more attention by manufacturers, consumers and clinicians. Naturally derived from patented biofermentation process of Saccharomyces cerevisiae yeast. No chemicals or solvents. Available as high quality bulk powder, enteric coated tablets and stabilised oral dosage forms, the novel convenient and attractive delivery forms. 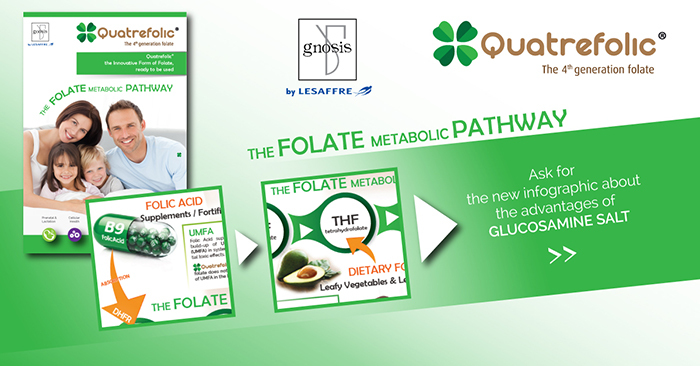 The active form of folate naturally present in the body and immediately able to penetrate the blood and the cell membrane without further metabolism. It has shown greater bioavailability and stability and is the preferred choice for active folate supplementation to support and regulate the methylation cycle. 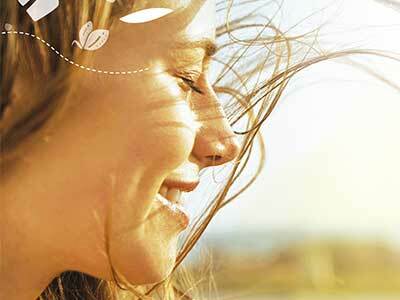 New stable and bioavailable form of glutathione in the form of S-Acetyl-Glutathione (SAG). Very well absorbed and more stable throughout the digestive tract than GSH. Odour-Free and tasteless is an excellent choice for GSH replenishment providing effective intracellular antioxidant support and favouring a healthy lifestyle. BIOACTIVES ™ – Bioactives are naturally occurring components that are known to affect and modulate a wide range of enzymatic roles, contributing significantly to health when they are consumed through life as part of the daily diet. 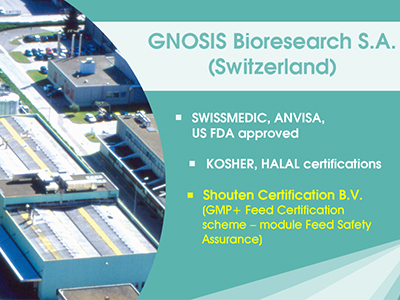 Gnosis offers Bioactives ingredients, as nature intended, produced in highly purified grade using state-of-the-art biofermentation techniques, preserving their beneficial roles and guaranteeing a strictly and controlled quality chain. The first non-animal chondroitin sulfate of fermentation origin characterised by high purity, a clear identity profile, a very low content of proteins and other (macro) molecules, as well as a superior biological activity. The new ingredient, branded as Mythocondro, is the first CS obtained with a fermentation-based manufacturing process followed by a chemical selective sulfation. Mythocondro warrants high purity, clear identity profile, batch-to-batch reproducibility, established safety with an astounding very low content of proteins and other (macro)molecules, as well as a biological activity. 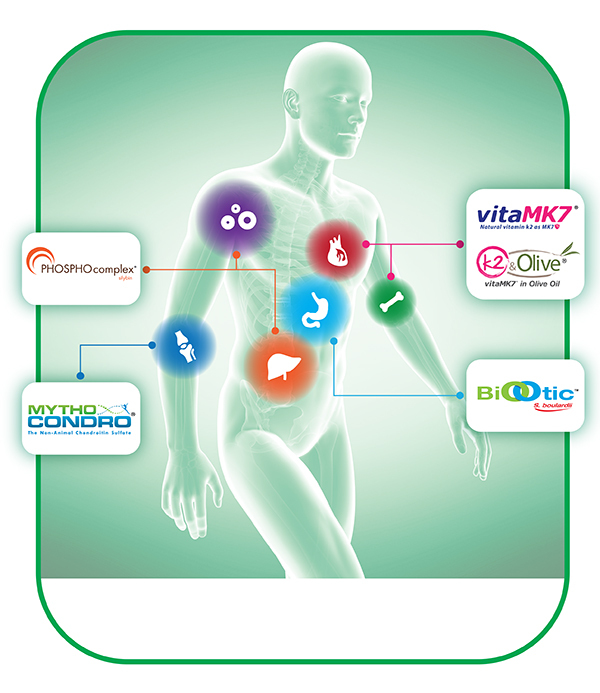 Mythocondro promises to change completely the CS industry providing a reliable and reproducible source of product. Furthermore it is the first chondroitin sulfate suitable for vegetarians and free from restrictions of use related to religious and supply issues. 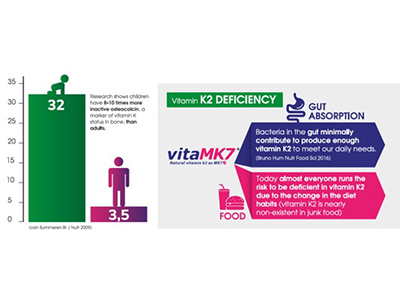 Probiotic yeast clinically recognised for its efficacy both, to preserve flora in the intestinal tract and to prevent and treat diarrhoea events in all age groups, including children. Proprietary Strain - Survives gastric acidity and is able to resist all commonly used antibiotics. 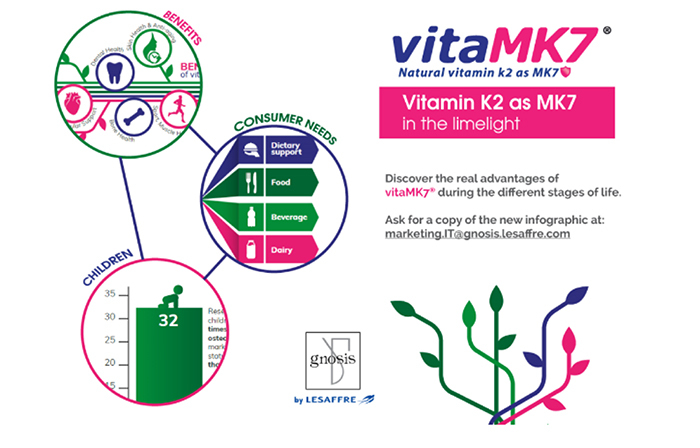 Naturally derived as the vitamin K2 as menaquinone-7, it is obtained through a patent granted biofermentation process of Bacillus subtilis natto cultures. 99% Pure and all-trans – Solvent Free. 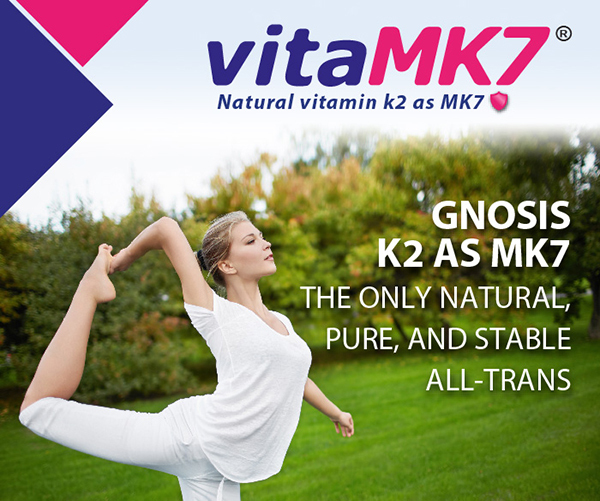 vitaMK7® is available in powder and in oil forms, suitable for different dosages and formulations. A milk thistle extract where silybin has been complexed with phospholipids for enhanced absorption through gastro-intestinal tract and improved bioavailability. 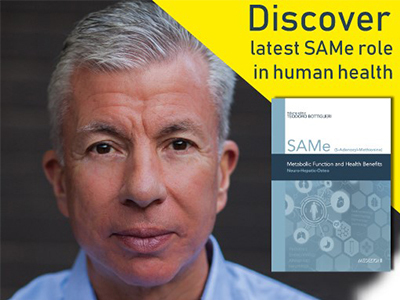 SAM-e enriched natural yeast (Saccharomyces cerevisiae) consisting in dried yeast cells. It guarantees stable form without addition of stabilising agents, highest (S,S) natural active isomer, highly flavourful, simple to administer. Adomet; Adogran; Adomix; Saloesse; Quatrefolic; Biootic; vitaMK7; Superesse.